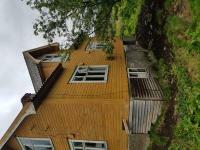 If you decide to buy a property for sale in Norway you have to know some things. In the last five years, the real estate market in Norway has seen strong price growth in the face of a very low level of interest rates and massive fiscal stimulus from the government. In Norway, 85% of the population owns a home. It is the highest value in advanced economies. 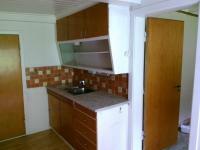 At the moment the Oslo real estate market is robust and the houses sell very quickly. Norway has a strong economy, and has recovered rapidly from the global financial crisis of 2008, with the exception of the last eight months of 2017.After property for sale prices in Norway increased by 13% in 2016 and even more in Oslo, new restrictions were introduced. In January 2017, the government stiffened the banks, the ability to grant loans, limiting them to five times the borrower's income, went through the country, especially in Oslo, and 2017 was the weakest year in the Norwegian real estate market after the financial crisis; the fall was the strongest in Oslo, with a decline of 10.5%. Since the beginning of 2018, however, prices across the country have stabilized and are no longer declining. In the first quarter, we saw a sharp rise in property for sale prices in Norway and above all in Oslo. However, Norges Bank, the Norwegian central bank, reported that the interest rate on home loans will be increased and new housing construction is expected. There is uncertainty about how these factors will affect house prices during the year. Most buyers are Norwegian citizens, although the number of foreign buyers has increased in recent years, with most coming from neighboring countries or from Western Europe. The high-end properties for sale in Norway are practically all bought by Norwegians who are resident in Oslo or are returning to the city after working abroad. Take a look at the real estate properties for sale at: Italy,Spain,France,Portugal,Greece.